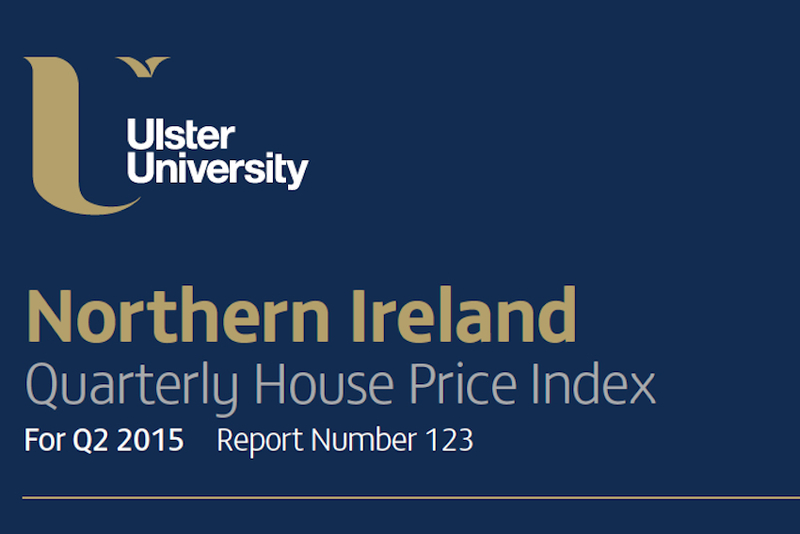 Northern Ireland's housing market indicates some slowing down both in terms of price growth and volume of sales for the second quarter of 2015, according to Ulster University's latest Quarterly House Price Index report. The research, which is carried out by Ulster University in partnership with the Northern Ireland Housing Executive, analyses performance of Northern Ireland's residential housing market between April and June 2015. According to the University's research, the overall average house price in Northern Ireland was £145,390 for the second quarter of 2015. While higher than the average price for the same period last year at £139,720, it represents only a 2.4 per cent weighted rate of annual price increase. This is a significantly lower rate of annual growth compared to the 5.3 per cent weighted increase in house prices reported for the first quarter of 2015. Highlighting Northern Ireland's affordable housing market, the research found that two-thirds of houses were sold at or below £150,000. Most property types across Northern Ireland continued to show an increase in the average sale price over the year, however apartments indicated a slightly lower average price down by 1.2 per cent. Terraced and townhouses with an average price of £80,262 decreased in price by 6.3 per cent over the year. The share of newly built property increased slightly from 15 per cent in the first quarter of 2015 to 18 per cent, which the research suggests is proof of a continuing recovery in private sector housing development. Lead researcher, Professor Stanley McGreal from Ulster University said: "The University's Quarterly House Price Index is designed to inform buyers in Northern Ireland's residential housing market. The recent findings highlight that while the average property price is up over the year, there is a quarterly decrease signalling slower market conditions during the spring of 2015. "The research sample is generated by data from estate agents across Northern Ireland. The on the ground observations from estate agents are in line with the general market trends outlined in the report, specifically that there is a shortage in the supply of good quality housing coming on to the market, which may be impacting on price. "At a regional level, while most areas experienced an annual price increase, prices tended to decrease compared to the first quarter of 2014. The Craigavon and Armagh area experienced the highest increase in prices up by 18.7 per cent to £112,971 from the same time last year. However, the Mid and South Down area with an average overall house price of £134,455 was down by 4.6 per cent compared to the same quarter in 2014." 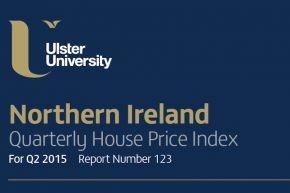 Joe Frey, the Housing Executive's Head of Research, commented: "Ulster University's most recent Quarterly House Price Index echoes the Housing Executive prognosis of a gently rising market. However, with Northern Ireland's pace of economic recovery lagging behind other parts of the UK, it may be having a negative effect of investor confidence."